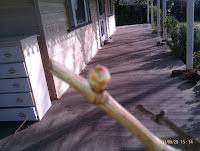 Is the season for bud swelling or burst changing? 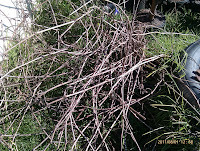 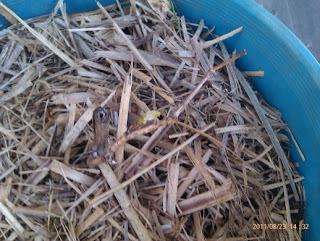 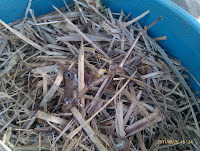 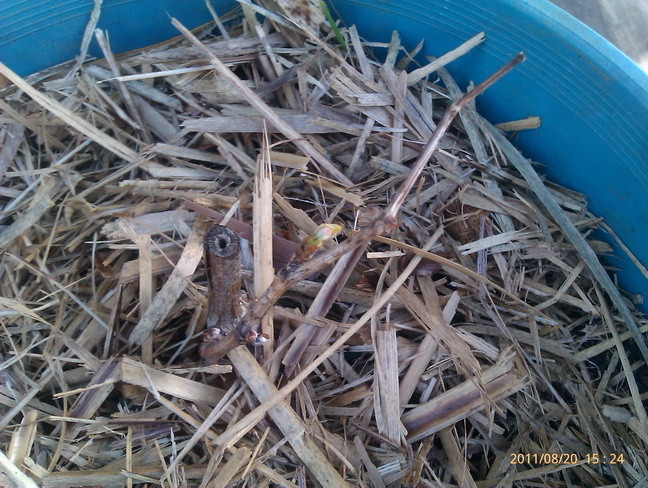 In SE Oz, IMBY, the backyard potted and planted shiraz[syrah] vines are buds are swelling, a week or so after the Pinot Noir potted vines.Here are some of the Pinot buds after a week on. 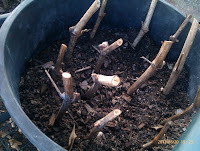 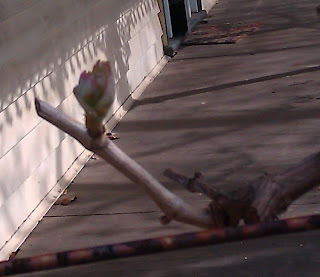 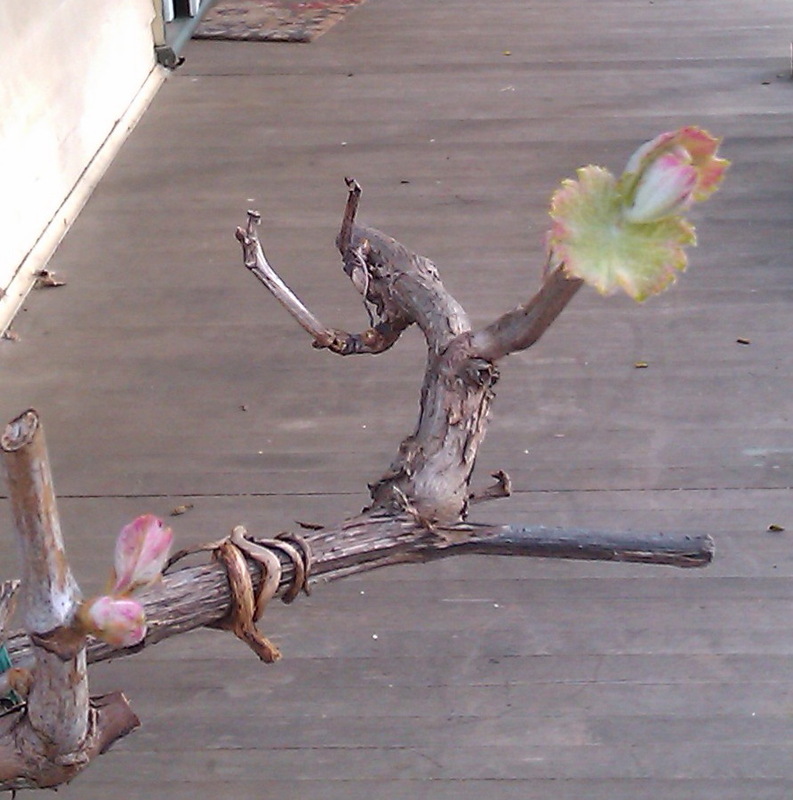 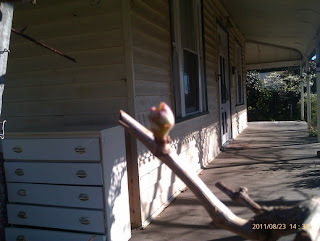 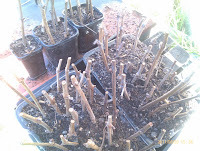 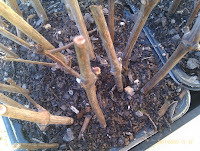 The 2010 cuttings of Pinot buds are starting to swell, well 3 out of 7 are. Last years Shiraz cuttings may not at all! 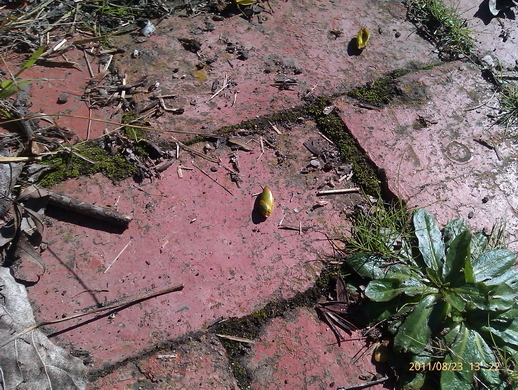 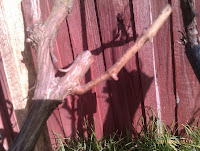 The snails may have got to them while dormant- better find a better place to lave the 2011 cutting! 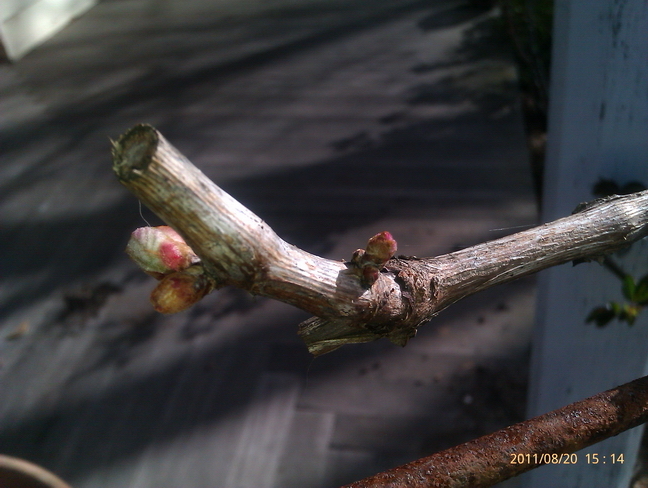 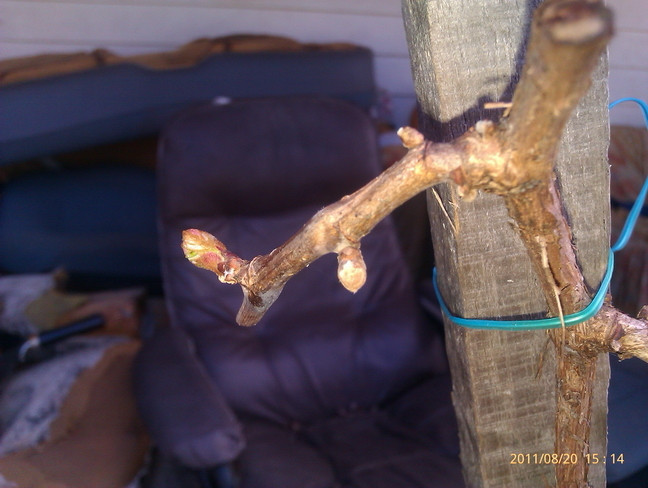 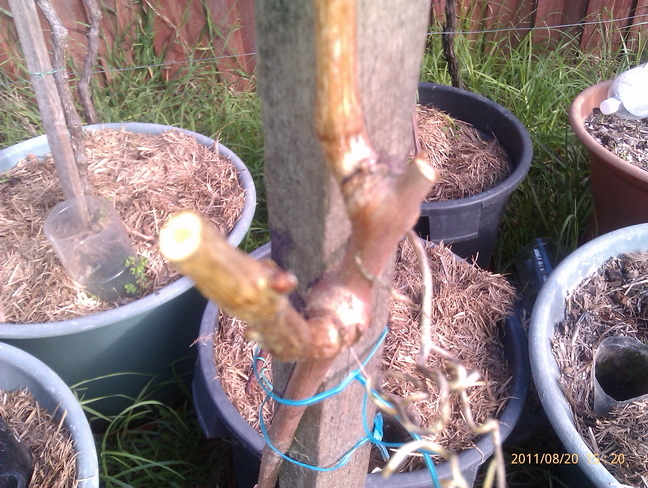 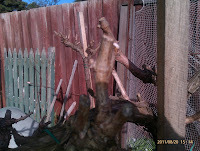 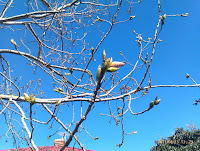 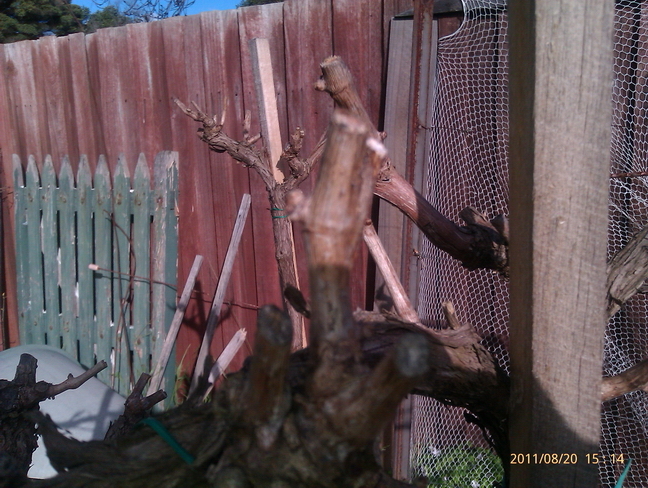 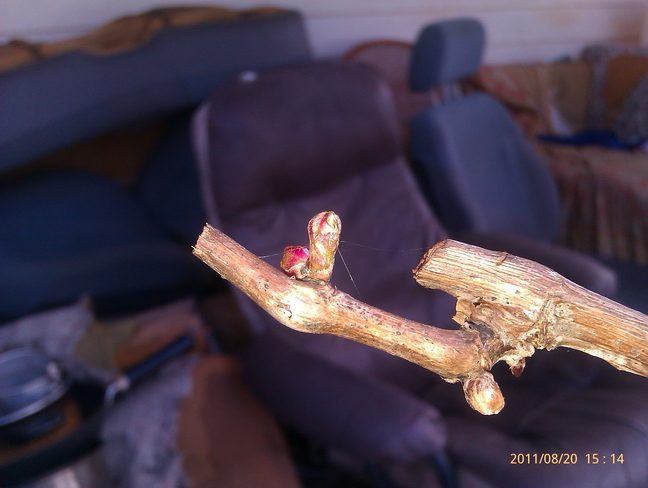 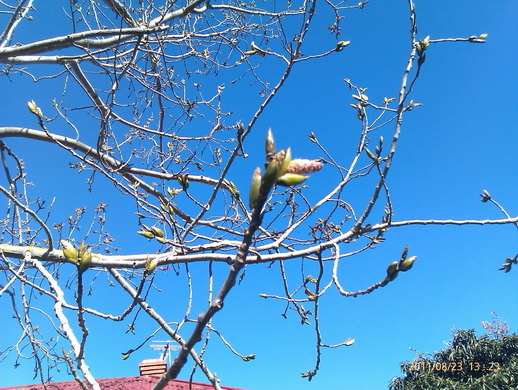 Speaking of, the 2011 Pinot and Shiraz cuttings buds are swelling too. 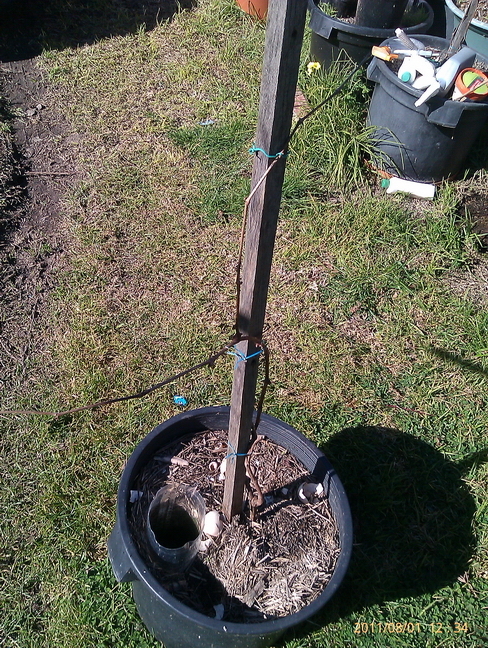 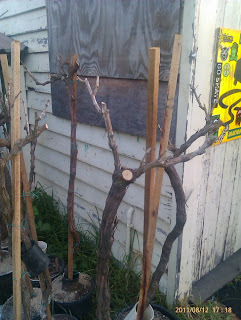 Had to make some place to keep some reclaimed chardonnay vines from my friend back in June 2011. 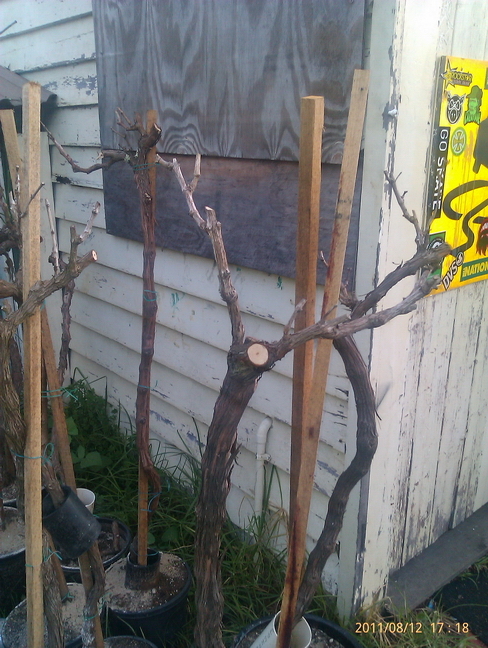 They are about four or five years old, and nearly fruiting. 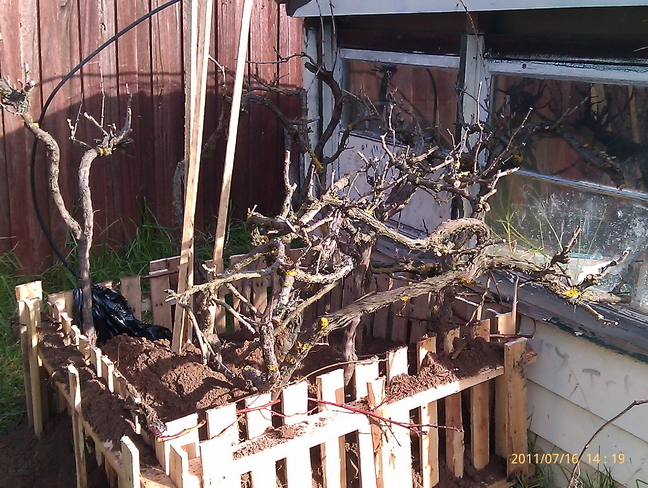 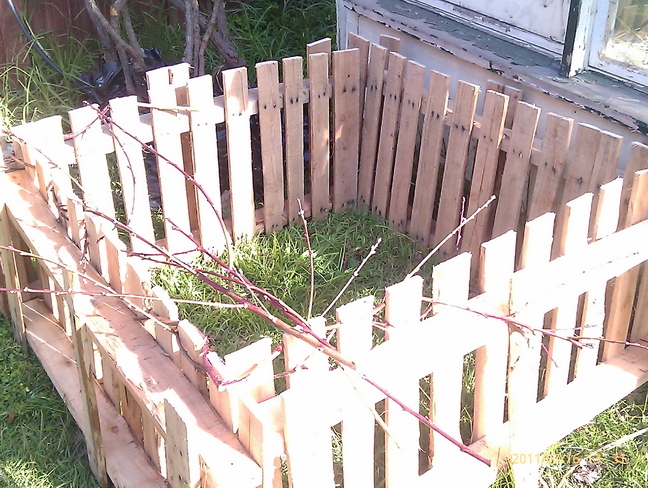 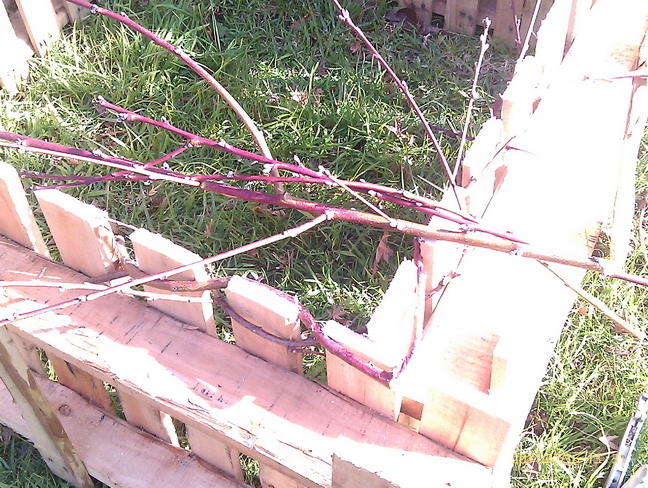 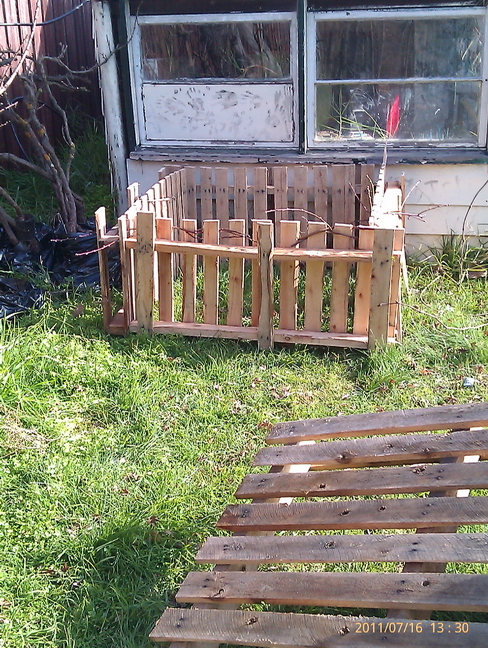 Two pallets cut in half and some long fruit tree cuttings- Voila! 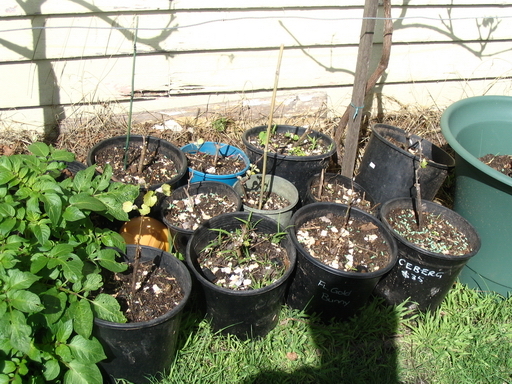 The photos show the temporary place until some more pots can be found. 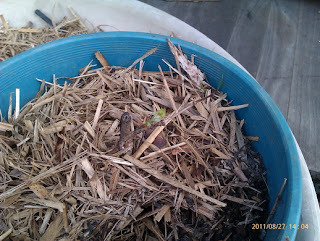 Seriously- ten to twenty dollars a pot, another 20 of them will set me over budget! 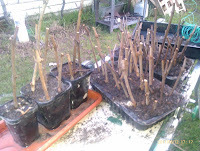 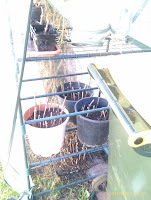 While the vines from Harry were bare rooted in the recent frosts, I thought I better cover them with the left over soil from the shiraz potting, so I will need some more when I get more pots. 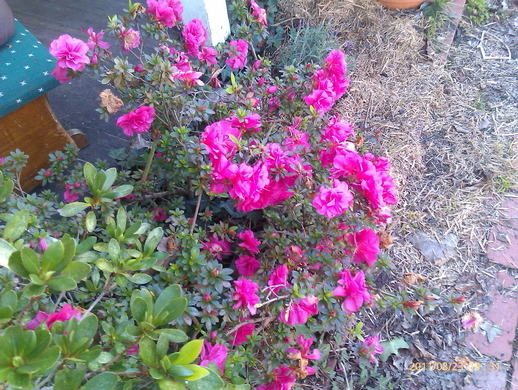 There were fourteen. 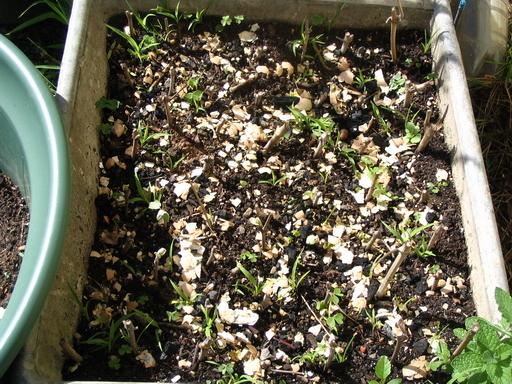 As of 12 August. 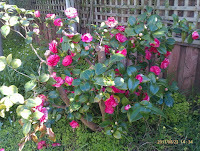 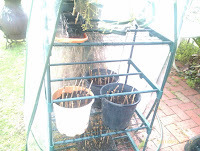 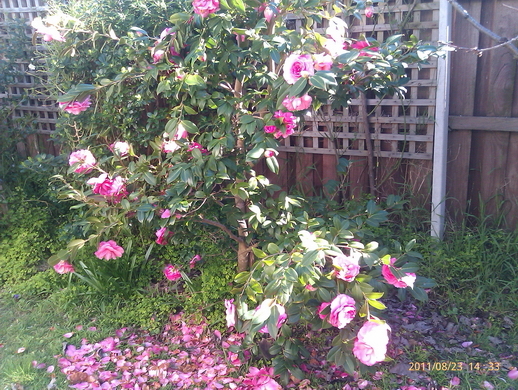 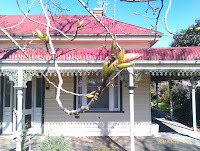 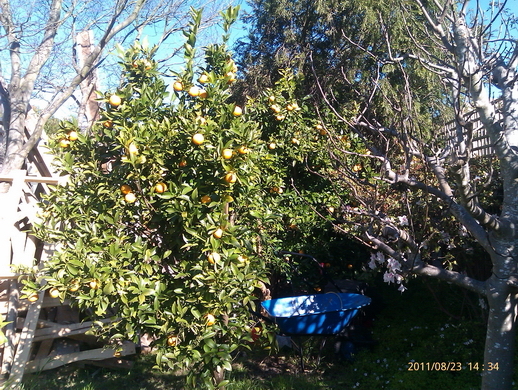 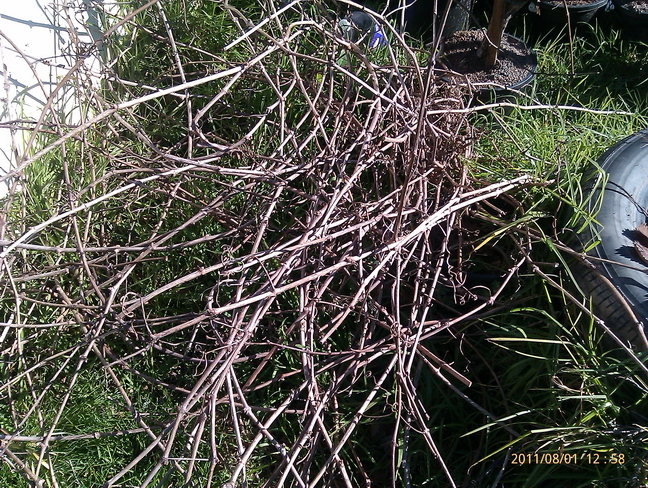 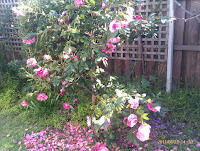 These have been re-pruned to try the Cane and Spur method. 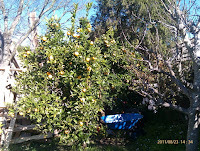 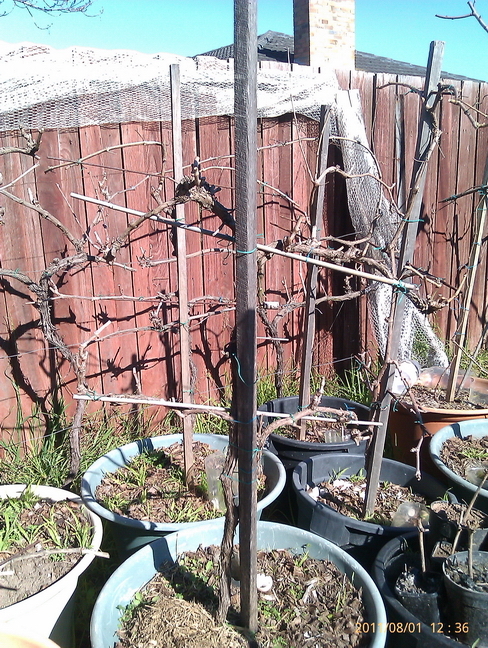 Hopefully, the transplant and re-pruning will be a success. The summer placement. This is not important, can put the pots anywhere! 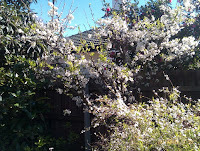 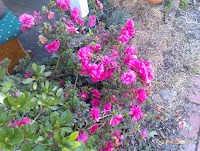 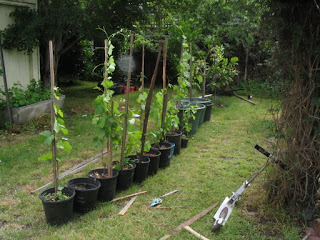 But at the moment, the thought is to set them along the front fence, where I cut down the awful hedge growth. 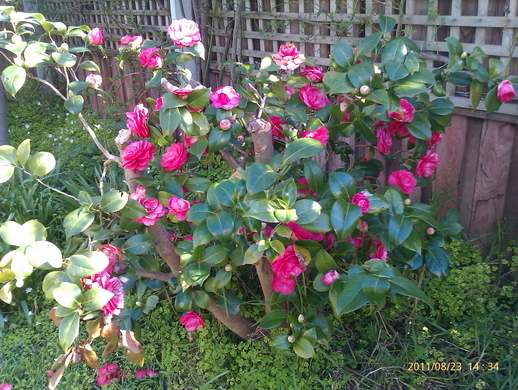 I think having fourteen will make a nice hedge. 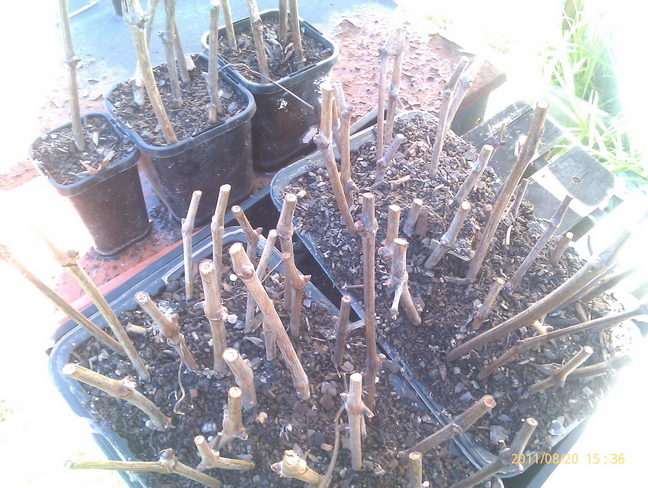 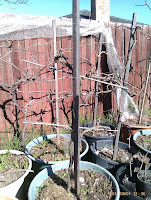 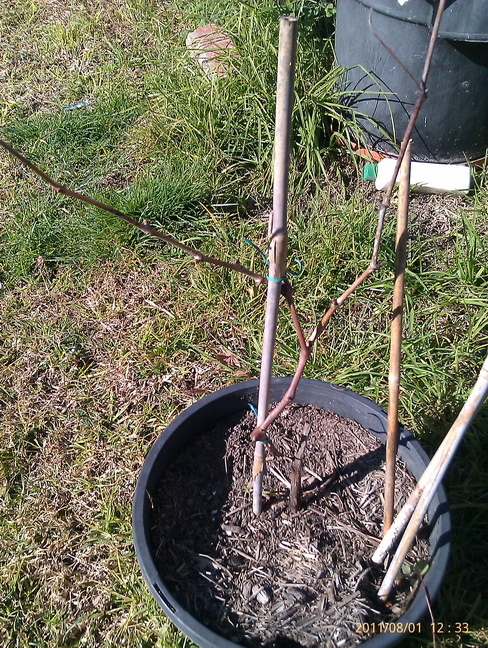 The 14 transplanted Shiraz plants pruned again, no sign of bud burst yet. 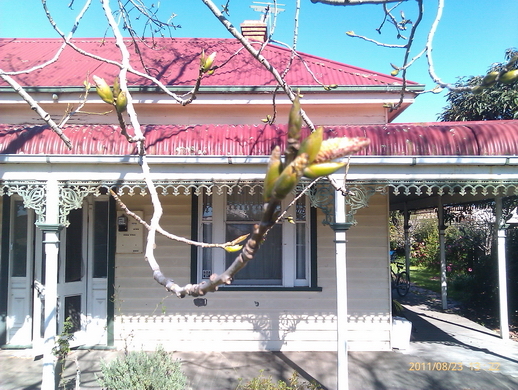 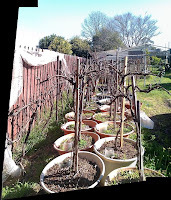 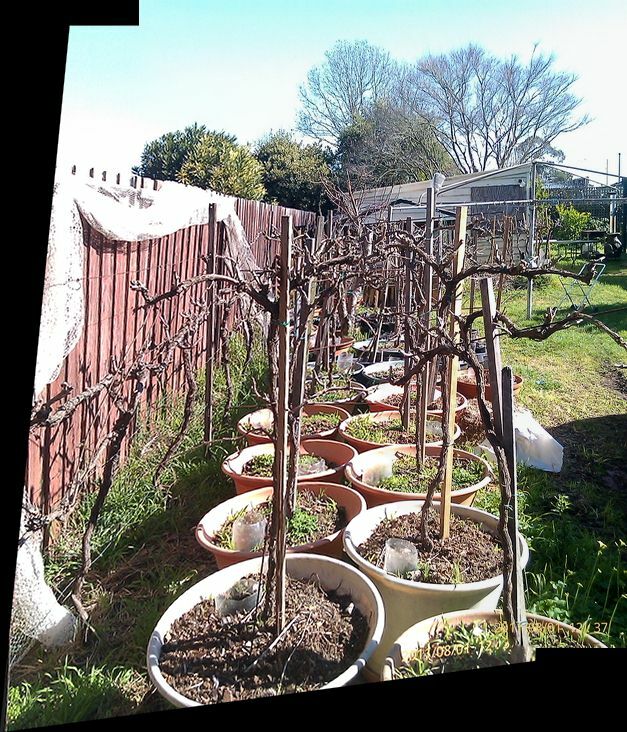 The rest of the Shiraz, planted and potted, also pruned again.Pruned the rest of the vines again, almost to a spur or two and a 'cane' if possible. 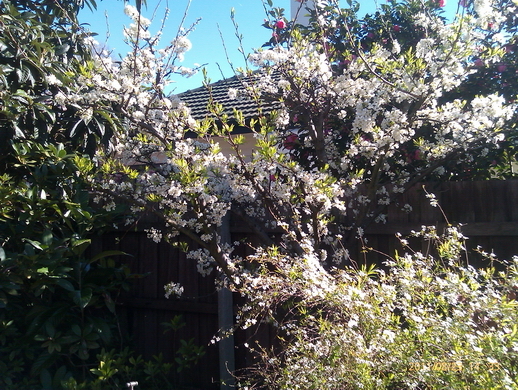 The more reading I am doing educates me so much. 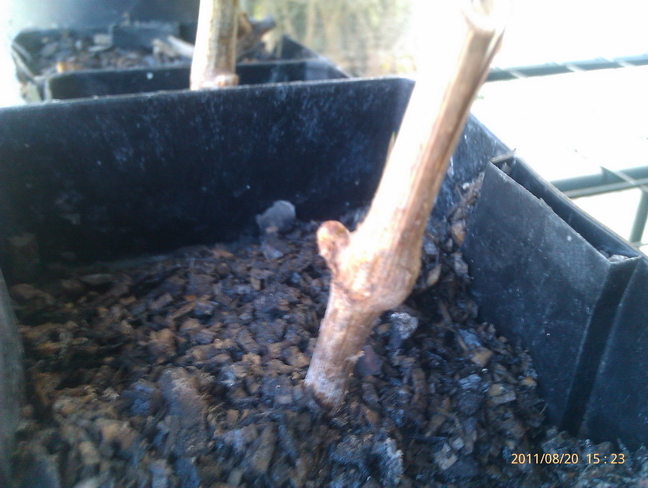 Looks like an over-cropping was occurring, and with the plants bound in a pot, maybe it will be a good idea to reduce the foliage and canopy. Finally got around to make cuttings and place them in some nursery pots. 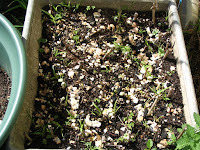 Bought two bags potting mix, and mixed in 2 shovels of ground calcium carbonate- limestone- and fertilizer into it.